I’m not a comic book collector. But I love to read. I have a few comics in my collection because I can’t get enough of Mass Effect and Buffy the Vampire Slayer. 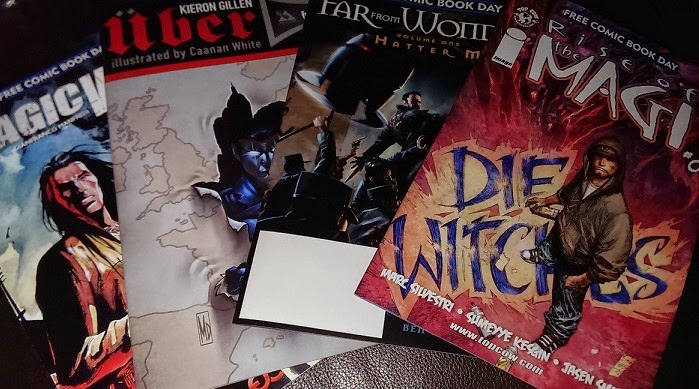 So when Free Comic Book Day rolled around, I was there. This allows me to jump into stories from the beginning and decide if I want to stick with it and keep paying for it. However, the reactions from my niece and nephew were better than the new comics. My nephew will be 12 soon. He loves comics, Legos, Dr. Who and Minecraft. I asked him Saturday morning if he wanted to go with me to comic shop for free comics. Who could say no to that? My 10-year-old niece wanted to come along, so we all made our way to a local shop. We walked into the comic shop The Spider’s Web, and the place was mobbed. The doors were wide-open, balloons hung in the doorway. The owner was even outside yelling at people to come get comics. They even had free cookies and cupcakes. This shop allowed us to take five comics each from the promos. There were stories that appealed to girls and boys, and much darker stories for adults (I grabbed those). I didn’t realize how much my niece loved comics until we were in the shop. She’s a huge Archie fan, and one of his free comics was available. There were Hello Kitty and SpongeBob comics. Yep, she found enough to fill her bag. Of course, we bought stuff as well. We didn’t just come for the freebies. 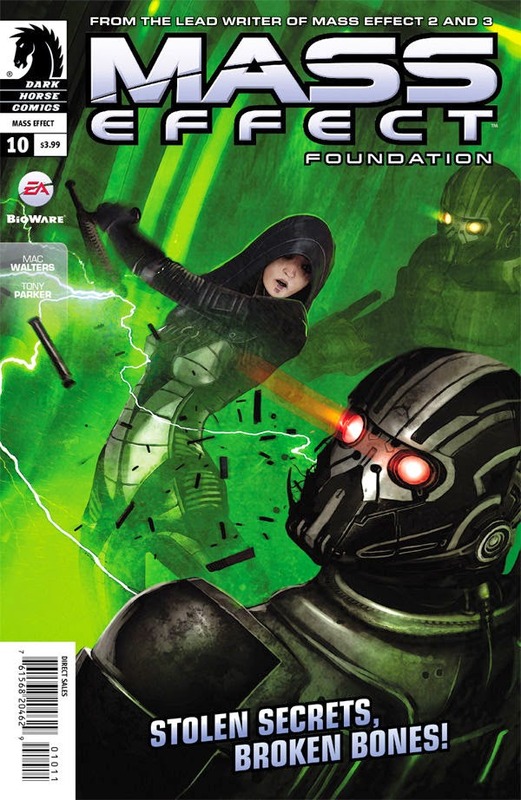 I grabbed Mass Effect Foundation #10 and Buffy Season 10 #1 and #2. My nephew got a Dr. Who Lego-like set that featured 11 of the doctors – it was his early birthday present. My niece grabbed another Archie comic where he married both Veronica and Betty in different timelines. But here was the best part: As we were leaving, they both in their own words said how this was one of the best days they ever had. There was another comic shop about 10 minutes away, and we headed there. They got a few more comics and I picked up Battlestar GalaticaSix #1. Oh, did I mention I love BSG too? My niece picked up another Archie, and my nephew grabbed some other Lego-looking toys of Marvel superheroes. Welcome to a new world, kid. I promised I would take them back to the comic shops in a few weeks. I seems like we made some new comic fans. I wish I had the ones I read as a kid in the 50's and 60's. But they were pretty well used ! Hope to meet you at the Nationals ! Great post. It's really cool that your niece and nephew enjoyed the trip to the comic book shops. I've taken my niece and nephew to card shops before, but never to a comic book store. Might have to do something about that. P.S. Cool BG comic. Wish they made a special comic for Eight (Boomer & Athena).